Are the U.K’s leading manufacturer of imitation baits and were the first to produce the now famous “Popup sweetcorn”. 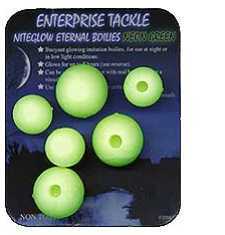 Enterprise “fake” baits are now used by many of Britain’s top carp and specialist angler’s and have caught thousands of specimen bream, tench and carp, including the country’s biggest common Benson, and mirror Two Tone. use in conjunction with real corn, to produce a neutrally buoyant or popped up bait . The inclusion of a hole into one side, (patent pending), enables weight to be added to create a critically balanced or sinking bait. Alternatively it can be filled with an absorbent substance, soaked in a concentrated flavour of the anglers choice. Eternal boilies can be used effectively popped up on their own, or in combination with real boilies to create the popular 'Snowman' Rig. Their buoyancy remains the same, even after prolonged use, and are resistant to the attentions of nuisance species including Crayfish. It has already proved very successful resulting in multiple catches of carp and individual fish to over 40lbs. As well as imitation baits they also produce an innovative range of terminal tackle and accessories which continues to grow. Items such as Nightlite adaptors for quiver and rod tips and Snag safe lead clip are now standard kit for thousands of chub and barbel angler’s.